Wie have an interesting information for people from Finnland. The nuclear fuel factory in Lingen (*Advanced Nuclear Fuels GmbH ANF)* ist producing nuclear fuel for nuclear power plants in the wohle world. A part of this nuclear fuel ist going through der Harbourg of Hambourg to ohter countries. 2 Weeks ago (7th of october) a transport of nuclear fuel to Rauma/Finnland tooke place with the ship “Link Star” . The aim was the nuclear power plant at Olkiluoto. Yesterday the ship left Hambourg toward Rauma/Finnland again. It may be a second transportation within 2 Weeks! We are not completly sure, but it should also be a transportatation for Olkiluoto. The ship is right now near the island of Rügen. Till now we had only one transport of nuclear fuel to Olkiluoto a year. Now we have some more transport. 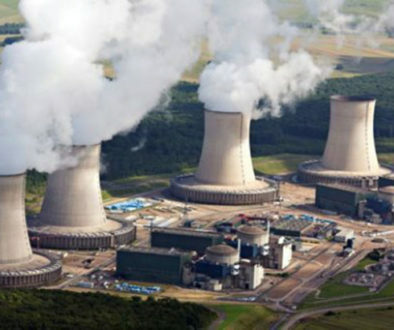 We are asking ourselve if the nuclear fuel is to be used in the new EPR reactor? The new reactor is right now not in operation. But as far as we know, it has to be tested with nuclear fuel bevor the reactor officilay starts in about one year at the end of 2018. Do some people from Finnland know if in Olkiluoto in the new EPR Reactor tests with nuclear fuel are allready going on? Or is the nuclear fuel for the “old” reactor? Unterstützung für das Wohnprojekt unfug e.V.